Hand knotted of sari silk. Because the silk used in these rugs is reclaimed from apparel, it naturally pulls, and you will see loose fibers on the surface. 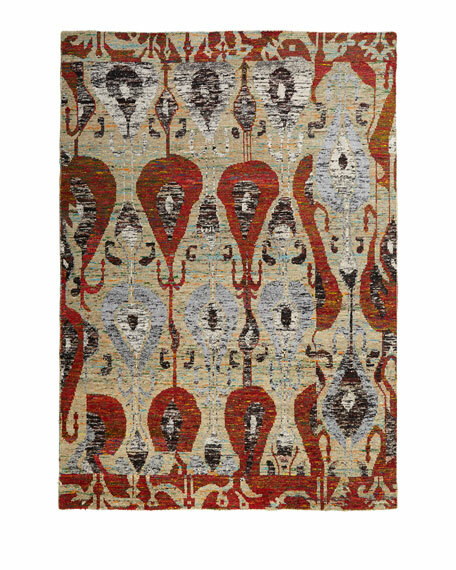 They add to the texture, beauty, and character of the rug but do not affect the durability of the piece. Each rug will vary slightly. For in-store inquiries, use sku #158972.